You can buy the oval table Ring in our showroom in Meda/Italy or online. 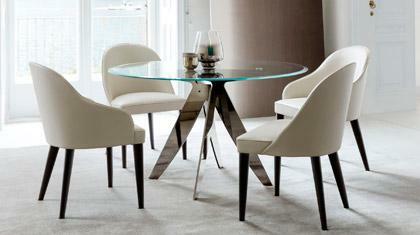 Ring is an oval table designed and produced by BertO for your new dining-room. The walnut-tinted oak legs emphasise the structure enriching this model thanks to the use of precious natural materials. Apart from the solid wood utilised for the basement, the oval top is in 30mm Carrara marble with bevelled perimeter. Base: walnut dyed oak solid wood. Protective sliding feet. A team of professionals makes the Ring marble table. Our master artisans together with our interior designers will assist you in the process of customizing your table. The oval table Ring is ready to be shipped. 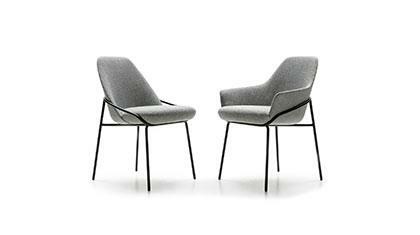 To receive information on delivery, contact us or you can arrange pick-up at our Fine Upholstery Atelier. We will be happy to meet all your needs.